Whole body Vibration involves a machine that gives the body’s muscles a high-speed workout by using vibrations to stimulate them to contract and relax. 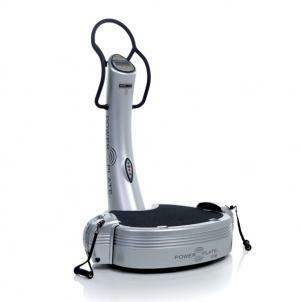 They generally contract once or twice a second, but by standing on the vibration plate machine, its vibrations cause an automatic reflex muscle contraction of 30-50 a second. Whole Body Vibration is a great time-saver due to the effectiveness of training and the fact that many muscle groups are activated at the same time. It’s claimed that 10 minutes on the vibration plate machine will have the same results as 60 minutes of conventional strenuous training.